Watercolour; signed and dated. 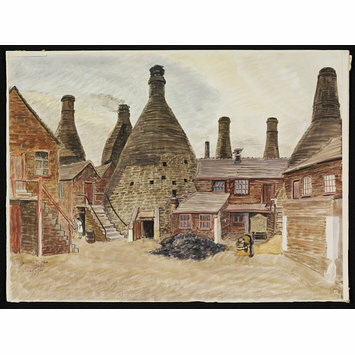 View of the Wedgwood factory at Etruria, showing tall chimneys rising from the firing kilns and warehouses. 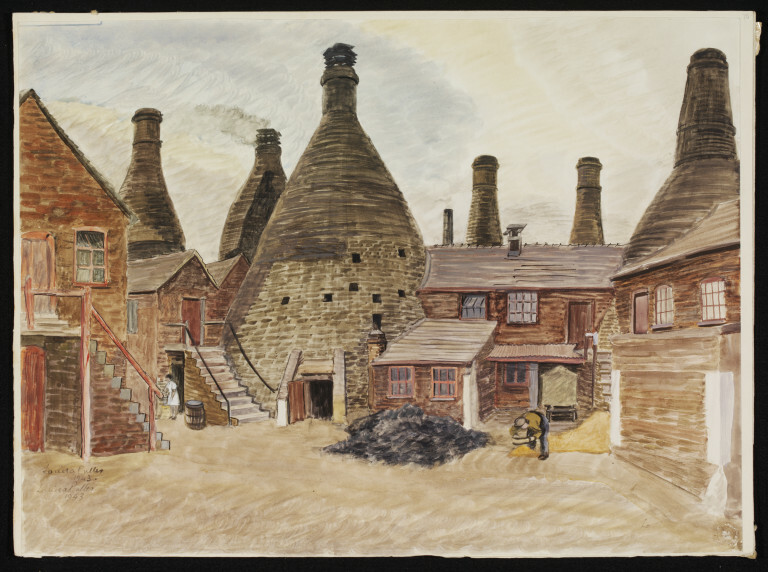 Wedgwood Works, Etruria (Recording Britain, Staffordshire). Palmer, Arnold, ed. Recording Britain. London: Oxford University Press, 1946-49. Vol. 3: Lancashire and Westmoreland, Derbyshire, Cheshire and Shropshire, Staffordshire, Welsh counties, Worcestershire, Herefordshire, Oxfordshire, Gloucestershire. pp.74-75, illus.